Some day is works, today it didn't. FKI Brussels has the particularities to change constantly their track, to be partially outdoor and to have light-weight rental karts. This is in sunny condition that the Formula Karting drivers competed – through 4 heats of 15 minutes. The day started with two 15-min free practice to get to know the karts and the track and how to take best advantage of the shortcut. For the first race, Arnaud qualified on 14th position – he has been blocked by a slower driver in his qualification lap. Arnaud had to take a strategic decision to avoid loosing too much time behind drivers and have some free track to get some position. He thus went for an early short-cut. Good approach until a driver pushes Arnaud in a wall (loosing 24 seconds). Back on track, Arnaud finished on a disappointing position : 17th on 24. Second race, Arnaud knew already the day will be tough and had to get a good qualification and indeed, Arnaud qualified on 4th position (at 0.251 from first position). The race went pretty well and Arnaud finished 2nd, taking the best time in race. Third race, Arnaud qualified on 7th position (at 0.343sec from pole position). At the checkered flag, 9th position. The race went pretty smooth, no big incident, but a strategic mistake. Paid cash. Final heat of the race, bad qualification for Arnaud with a 5th position (at 0.407 from pole position). The race was stopped at the third laps (red flag) and then chaos arrived. Some drivers took advantage of the shortcut before the red flag, some during the lap of the incident (which has been cancelled – as drivers where put in a re-start grid based on position from the previous valid lap – short-cut cancelled too) and lucky drivers after the incident had read advantage to take the shortcut at the earliest. Arnaud benefited of that situation and get to the second position, until he was pushed in the wall to finish at the 13th position by driver considering he took twice the shortcut. Dear helmeted Avenger, please let the marshals do their job, don’t waste other drivers’race, you are not Robin Hood. 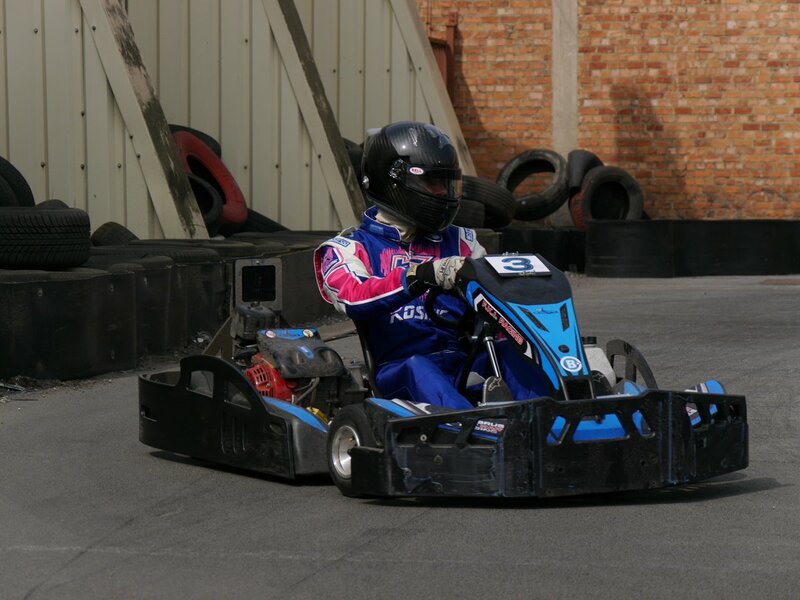 Next race on 2nd June at Euro-Kart Poperinge, BE – stay tuned!